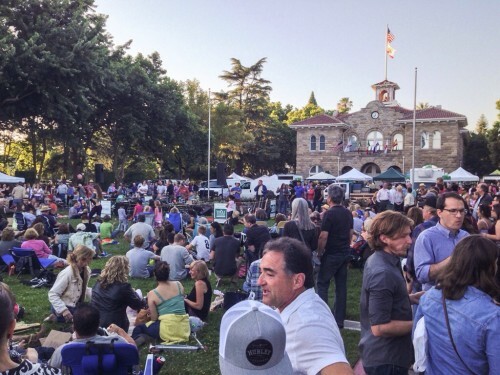 In addition to our regularly scheduled events at the Tuesday Nigh Farmer’s Market in Sonoma and our Thursday Pop-Up Cafe at the Renaissance Marin in San Rafael, we are setting up at some of our favorite venues this month… come see us! Our new website (coming soon!) will have a fancy calendar on it, but until then, here’s a list of places you can find us this month. 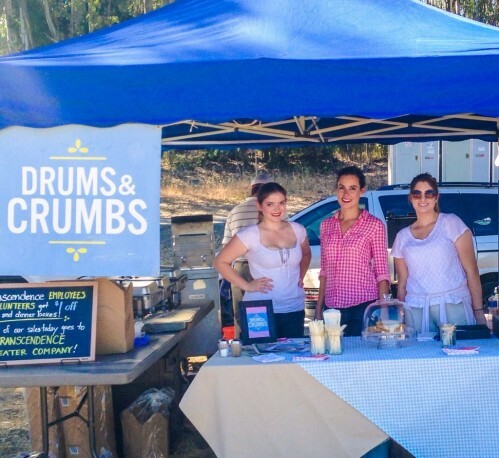 If you have any questions, please give us a call at 707-999-8394 or email us at info@drumsandcrumbs.com. 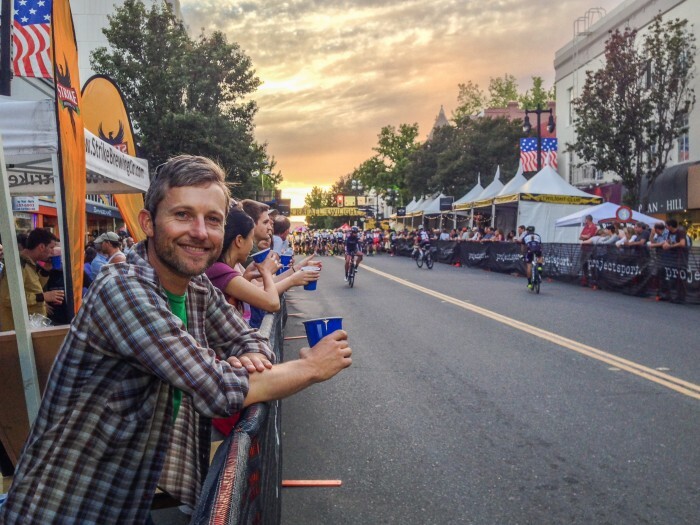 Drums & Crumbs had a front row view to the 2014 San Rafael Twilight Criterium this past weekend. We set up our tent next to Strike Brewing Co. and sold our favorite Fried Chicken Sandwich with sides of Baked Mac & Cheese and Fresh Mixed Greens. To finish it off, we had our Chocolate Bourbon Pecan Pie, which was so popular, we’ve started selling it at the Tuesday night farmer’s market as well. In addition to our tent, we also had the honor of catering the VIP “Twilight Club.” Those guest were treated to a choice of Arthur’s Fried Chicken with Baked Mac & Cheese, Fresh Mixed Greens and Buttermilk Biscuits or a box of Baked Mac & Cheese, Spicy Black Eyed Peas, Fresh Mixed Greens and a gluten-free Corn Muffin. 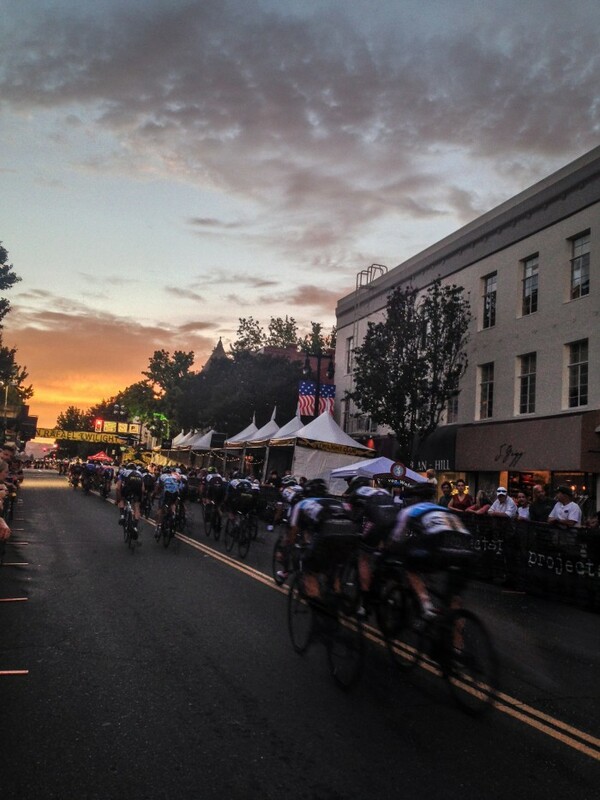 We couldn’t have had a more exciting street debut in San Rafael. 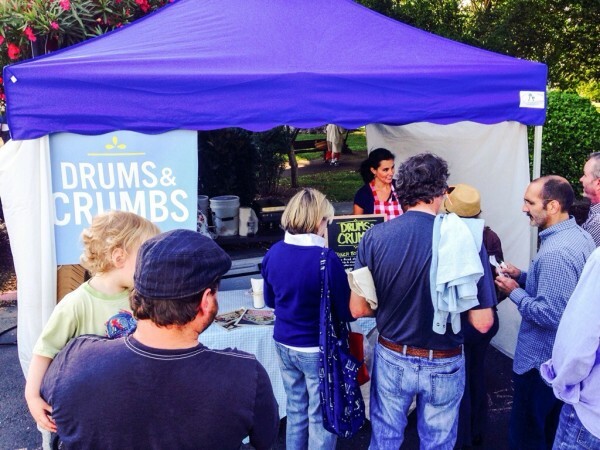 We are glad we could introduce Drums & Crumbs to so many new people. 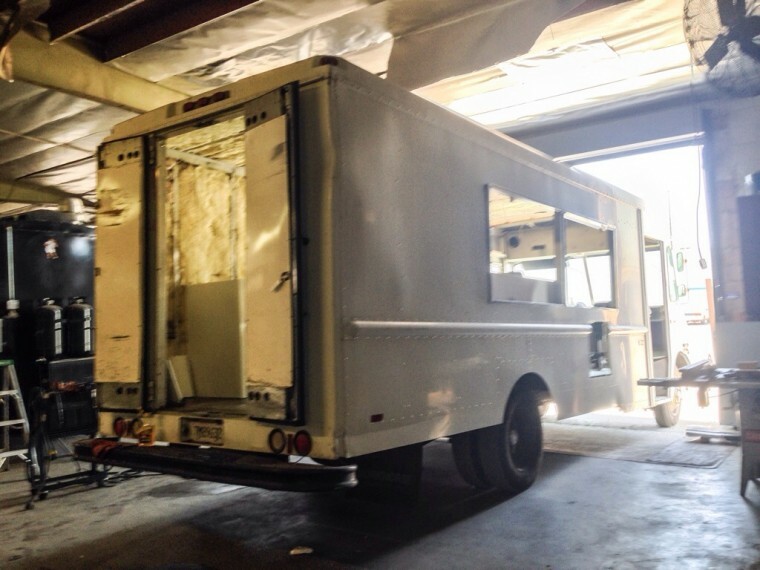 Over the holiday weekend, Rachel headed down to Southern California to check out the progress on our food truck in person. 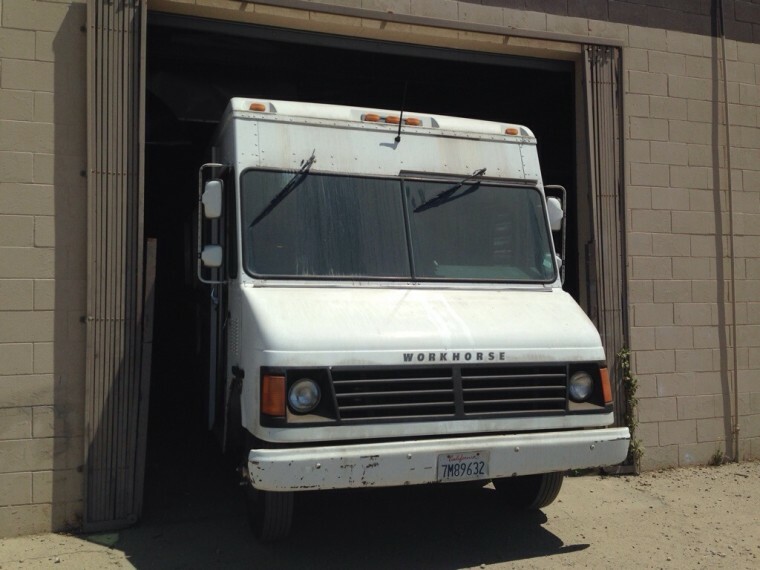 We knew the truck had been purchased and construction had begun, but, even after repeated requests, our builder never sent photos of the truck or its progress, so we wanted to see it for ourselves. As you can see, the electrical wiring and counters are installed. 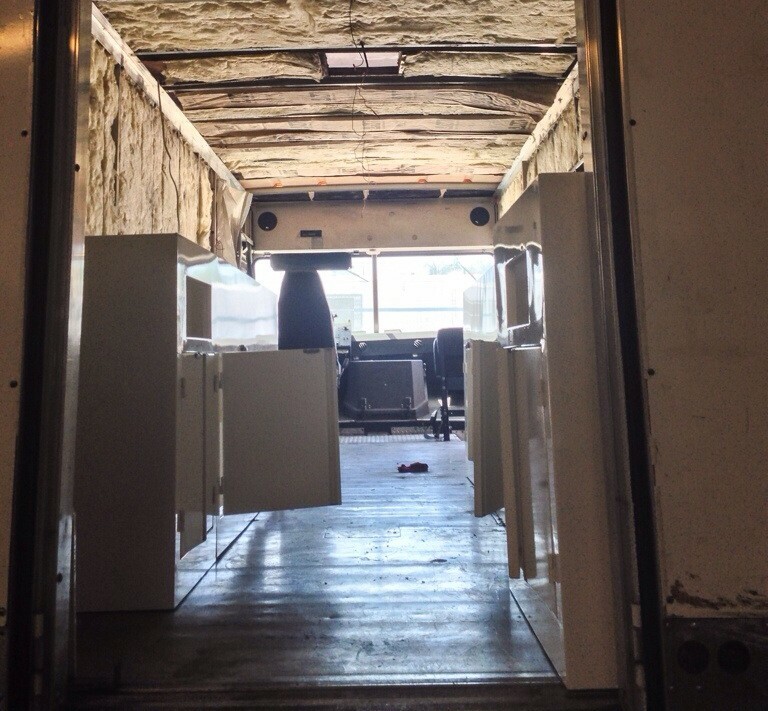 This week, it will hopefully be inspected by the Department of Housing and have a smog inspection. After that, it’ll take a couple of weeks to install the appliances and the plumbing. After the final touches inside, they will send it out to get wrapped in the beautiful design created for us by Design Womb. Theoretically, we could have it mid-August… but we won’t start planning our grand opening until it is actually on its way. Rachel decided to make a weekend out of the trip, driving Highway 1 through Big Sur, spending two nights in Santa Barbara, and passing through Santa Cruz on her way home. 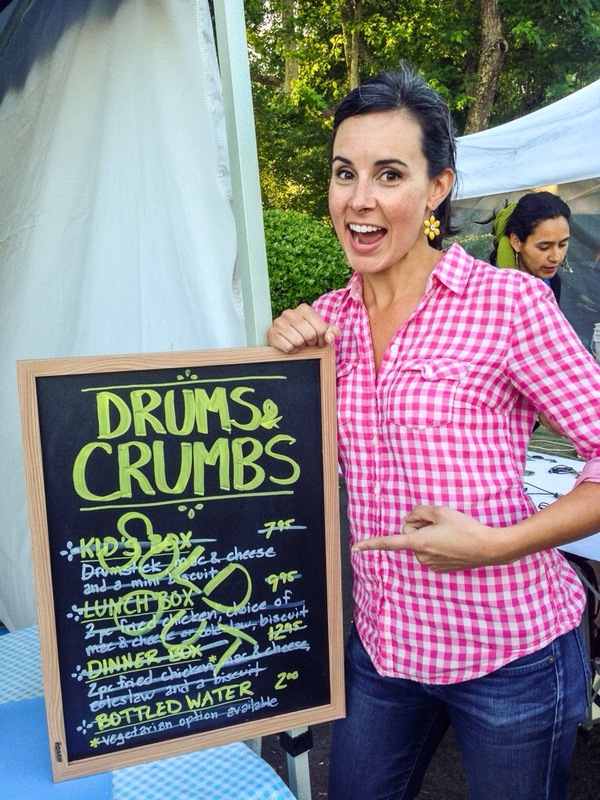 It’s been a full summer over here at Drums & Crumbs! 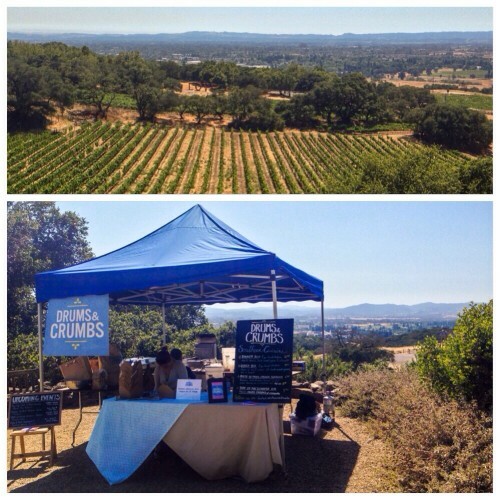 Between the farmers’ market, winery summer events, private parties and more, we’ve had so many opportunity to share our food with people all over Sonoma Valley. 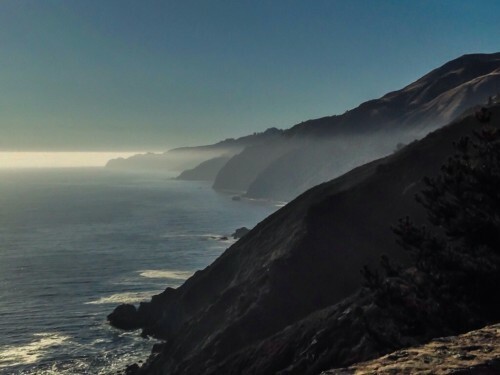 Take a look at some of our highlights, and remember, the summer has just begun! We get to have fun too! Thanks for a spectacular summer so far! 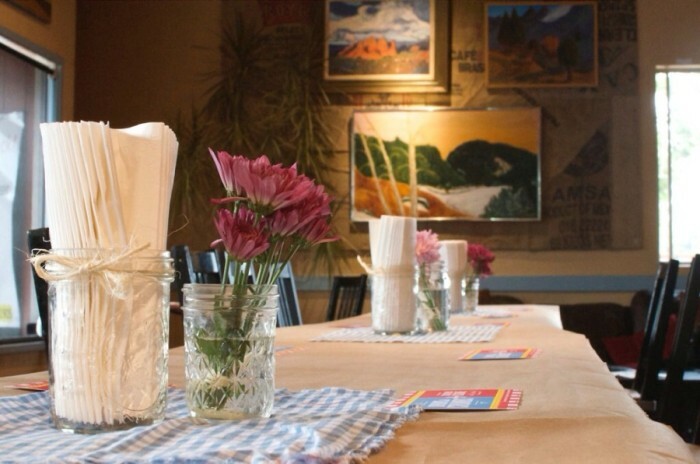 We have another busy month ahead of us… and you have many opportunities to have some of Arthur’s Fried Chicken and the rest of our authentic southern cuisine! 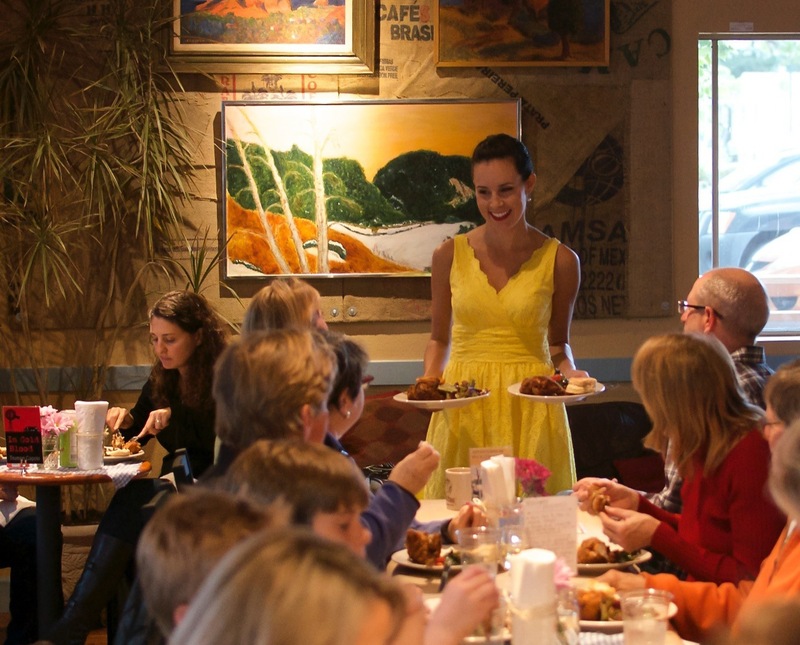 We have a busy month ahead of us… and you have many opportunities to have some of Arthur’s Fried Chicken and the rest of our authentic southern cuisine! 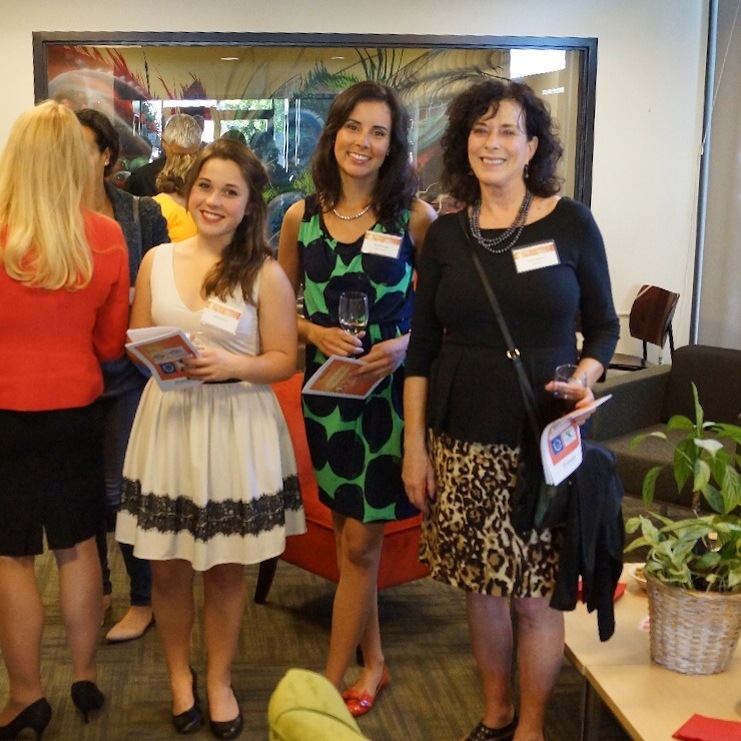 Last night, the Renaissance Entrepreneurship Center held an annual dinner honoring women entrepreneurs in Marin County. Our co-owner, Rachel Hundley, was one of forty women nominated to attend! 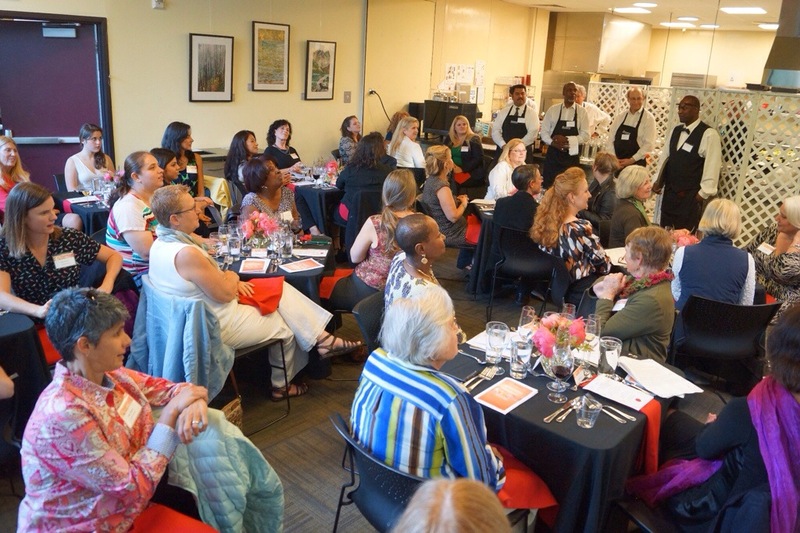 The dinner was hosted by Sharon Miller, CEO of the Renaissance Entrepreneurship Center. Businesses represented included finance institutions, retail stores, community organizations and, of course, Drums & Crumbs. 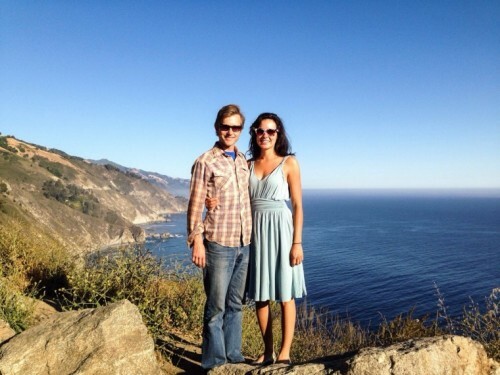 Congratulations to Rachel on the recognition for her contributions as an entrepreneur! 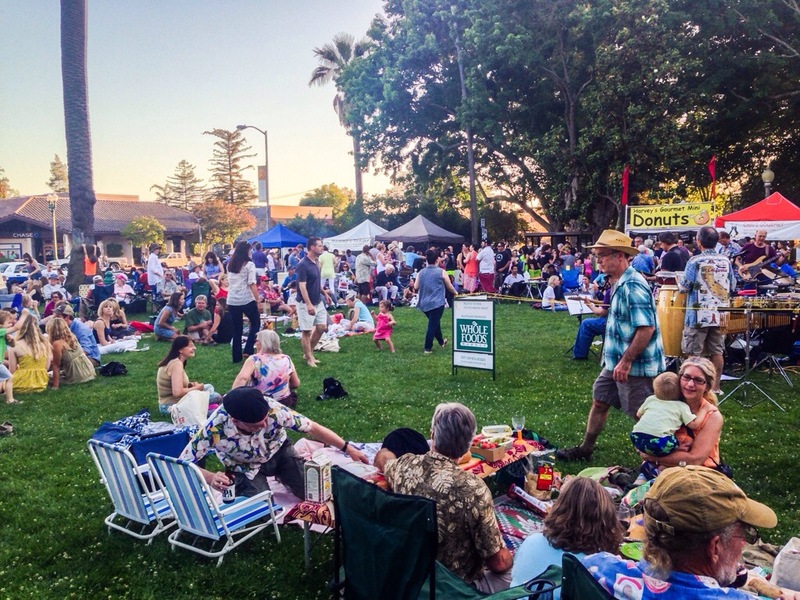 Drums & Crumbs is excited to be a part of the Valley of the Moon Certified Farmer’s Market held every Tuesday evening through the summer. We don’t have our food truck yet (soon! ), so we have a stall set up on the west side of the horseshoe next to Napa Street. Although the market officially starts at 5:30pm, our dinner service starts at 5:45pm. 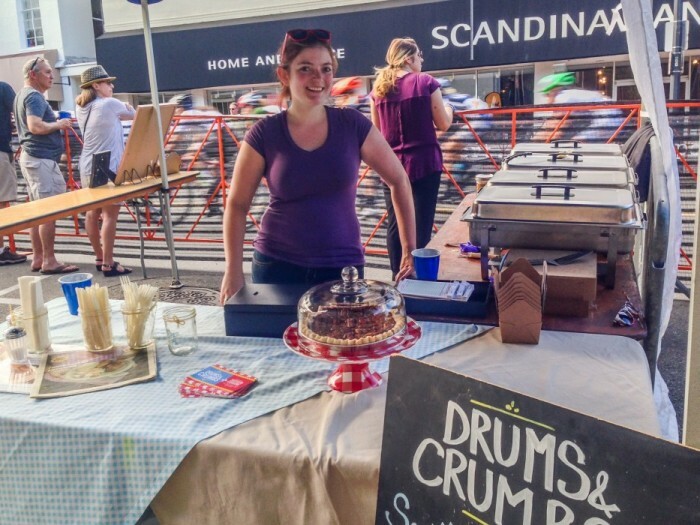 Our first week at the market was a little hectic for us. 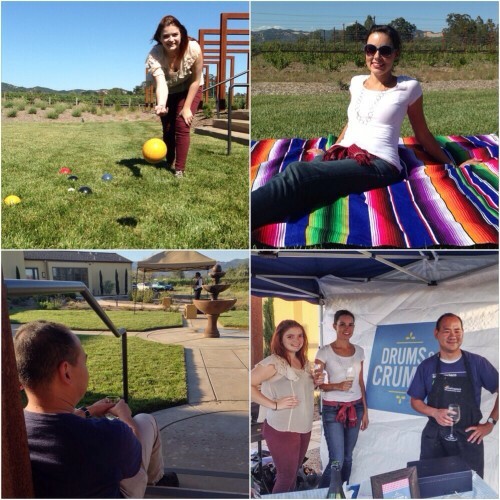 The Sonoma community and beyond was out in full force, and it was our first time selling at a farmer’s market. 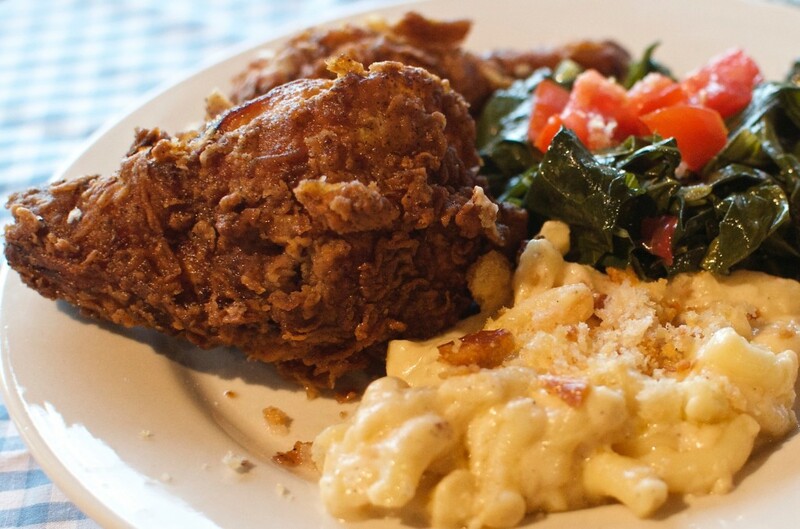 Our menu for the first night was Arthur’s Fried Chicken, Baked Mac & Cheese, Carolina Coleslaw and Buttermilk Biscuits. 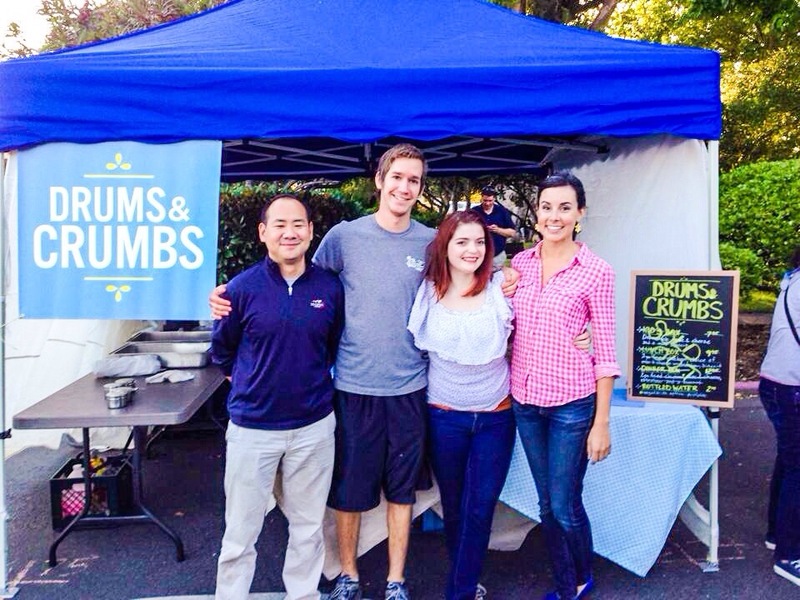 The Drums & Crumbs team — Arthur, Rachel, Tess and Wes — held it together that night, and we were amazed at how fast we sold out of food! 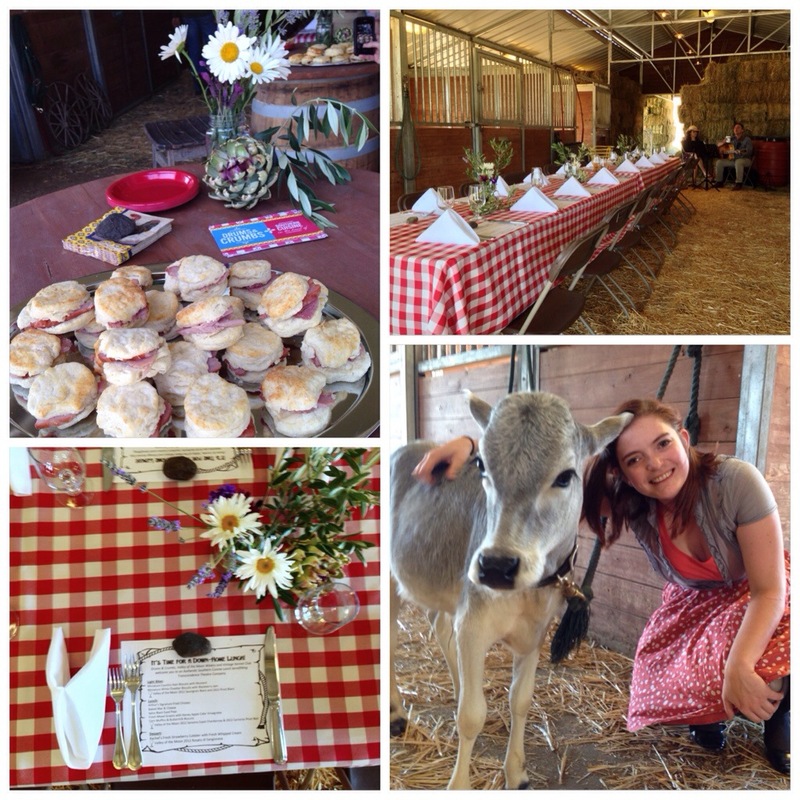 It was a true privilege meeting so many new faces and receiving such positive feedback about the food. The next week we came back with even MORE fried chicken, as well as our Slightly Sweet Iced Tea and Rachel’s Fresh Strawberry Cobbler. The weather couldn’t have been more perfect, and again the market was packed! 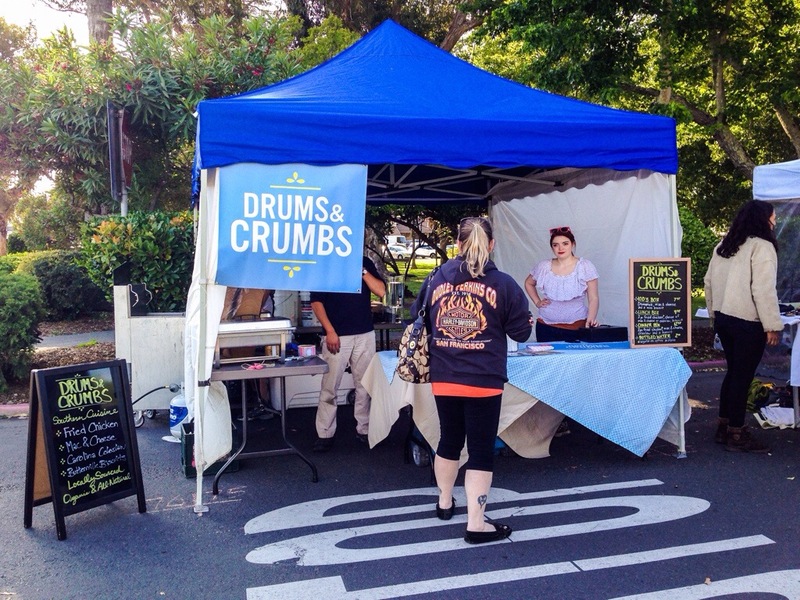 We were again overwhelmed by the number of people who had heard about Drums & Crumbs and wanted to try our food. If you stopped by the booth and were unable to try our fried chicken, we are working hard to figure out a way to have more available in light of the strict time constraints the market has for set up. Once the truck arrives, we’ll be able to keep up with the overwhelming demand for our food. We are honored that so many people would hang out with us and wait for the final batches of chicken to come out of the fryer. 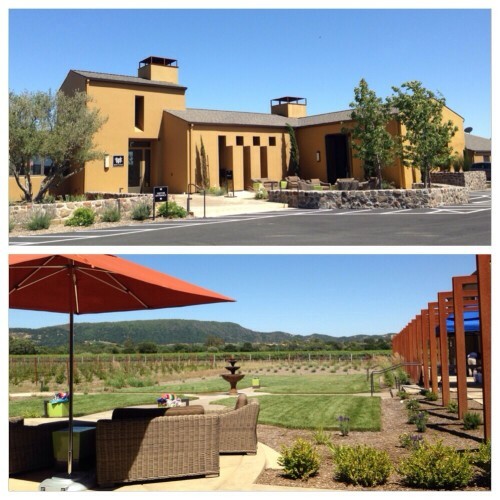 We love getting to know the people in our Sonoma community, as well as those of you who drive in from out of town! We’ll be back next week (and every week until September) with more southern treats for you to try. 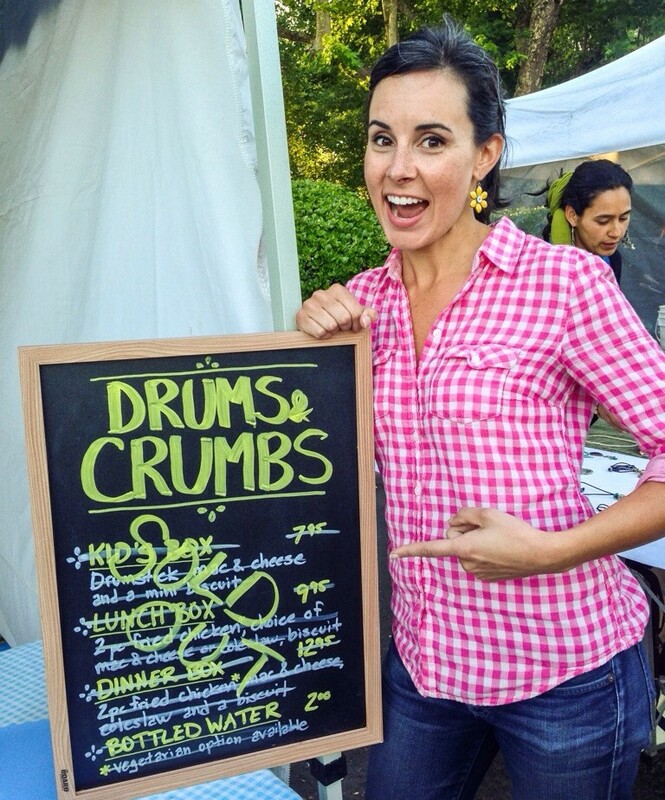 If you want to have some Drums & Crumbs fried chicken for dinner, come early! Dinner service begins at 5:45pm. All set up for our first market! 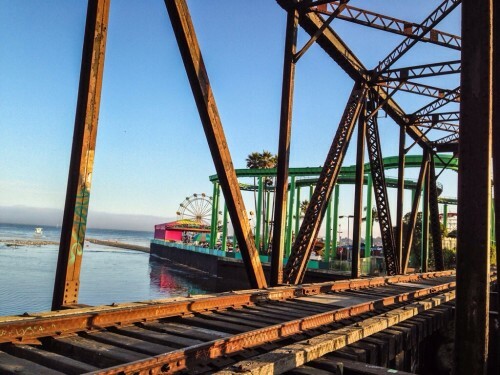 It’s worth the wait… we promise! 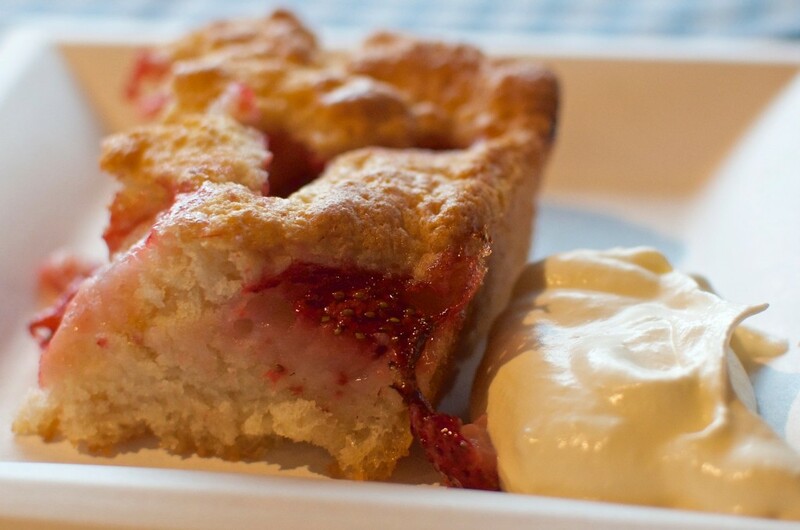 When we told Tess, who was recently promoted to Bakery Manager, that she could add a namesake to our menu, she immediately thought of strawberry shortcake. 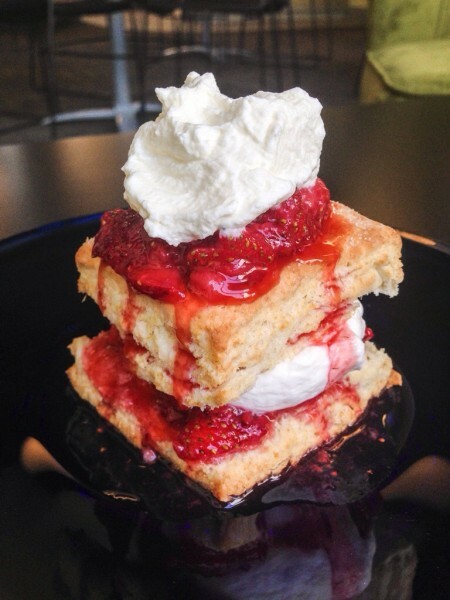 Tess wanted to show people what a true shortcake is all about. It is flaky and buttery and just a tad sweet. 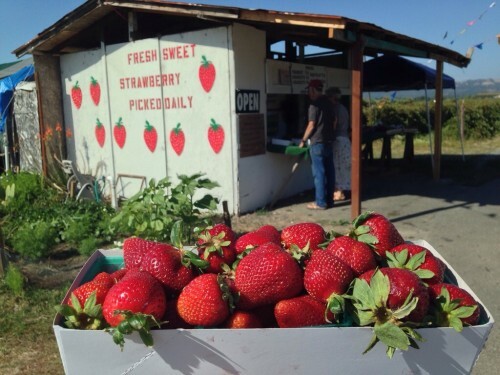 And it makes the perfect base to showcase our local and organic strawberries. Tess also added one distinct touch: she serves it with a homemade bourbon whipped cream. We’ll be selling it at the Tuesday night market in Sonoma and the Wednesday pop-up cafe in San Rafael during peak spring strawberry season, so come by and try it! Thank you to everyone who came to our Sonoma Southern Supper, a one-night-only pop-up dinner held last week at Barking Dog Roasters in Sonoma! We had two seatings that evening: 6pm and 8pm, and also offered take-out. 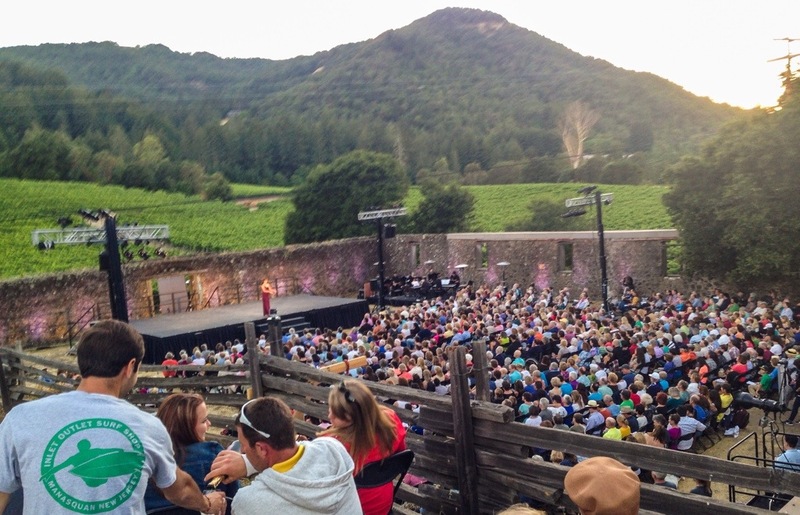 While guests waited for their food and made new friends, they were serenaded by Sonoma’s own Dan Martin. Our menu featured Arthur’s Fried Chicken, Baked Mac & Cheese, Collard Greens, White Cheddar Grits, Spicy Black Eyed Peas, Fresh Mixed Greens, Buttermilk Biscuits, Corn Muffins and Rachel’s Fresh Strawberry Cobbler! We are grateful for the Barking Dog, Dan Martin, Oz Robledo (who took all of the photos featured below), our wonderful staff and everyone who joined us for the wonderful evening. Thank you! All set up and ready for dinner!